Police wish to speak with the men pictured. 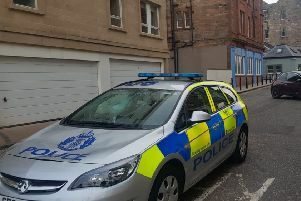 The incident happened outside the Scotch Hop Bar in Causewayside at around 9.20pm on Saturday, 29 December 2018 as the 29-year-old victim was walking home. He sustained serious facial injuries which required treatement at St John’s Hospital in Livingston.